Do you ever wish you had more freedom? Maybe for you that means more money, more time to spend as you wish, or the flexibility to not be tied down by a job. For many of us, it's all of the above! In this post, I'm going to share the first step you need to take in order to make that dream a reality. This isn't some pie in the sky idea. It's not a possibility reserved for people who already have money, or those who have fewer obstacles than you. Every day, regular people just like you create financial people through real estate, despite their finances and apprehensions. But unless you win the lottery or stumble upon a large inheritance, it's not something that will fall into your lap. You'll have to put a plan in place, and start taking action. 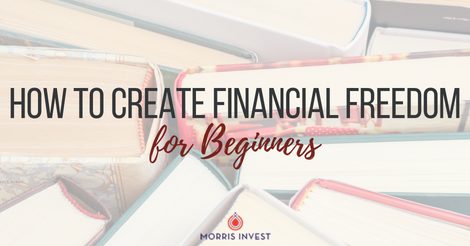 To get started, you don't need to have money in the bank. You don't have to have the "how" all figured out just yet. This first step has the potential to change your life. I know this because it worked for me, as well as countless other Freedom Fighters. Here's the secret: a simple, yet effective step-by-step plan toward passive income, covering your expenses, and to stop being a slave to the man! I call it the Freedom Cheat Sheet. It’s a PDF designed to help you calculate how many properties it would take for you personally to be financially free. The idea is simple—you add up your expenses, and then calculate how many rental properties you would need to cover your bases. Once you’ve done that, you’re free. It doesn’t matter if your employer decides to give you the can. If you decide you want to spend more time with your family, or pursue other ventures you can. Whatever freedom looks like to you, you can attain it.